Half of Americans now suffer from gum disease, making it one of the most common dental health issues in the country today. The good news is that you can treat gum disease quite effectively with the help of Christopher Yoon, DMD, at Scottsdale Family Dental in Scottsdale, Arizona. Use the online appointment tool or call the office to schedule your gum disease checkup or treatment today. Even though gum disease symptoms may not be obvious in the initial stages, that doesn't mean that it's not harmful or dangerous. It's important to seek professional help as soon as you suspect a problem. If untreated, gum disease can cause you to lose teeth, gum tissue, and even jaw bone. If gum disease spreads through your body, it can affect your whole-body health by increasing inflammation in unrelated tissues. For example, untreated gum disease can increase your risk of heart disease by about 20%. What is the treatment for gum disease? Scottsdale Family Dentistry customizes gum disease treatment for each patient based on symptoms and medical prognosis. The objective is to remove the harmful bacteria from your mouth to give you a healthy starting place once again. This may include regular dental cleanings, deep gum pocket dental cleanings, oral antibiotics, special mouthwashes, and other treatments. For advanced gum disease, gum tissue grafts and bone restoration may be needed. 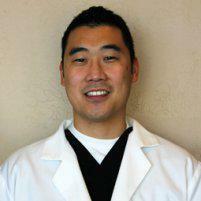 Dr. Yoon will discuss all of your treatment options with you, and you'll create an effective treatment plan together. Following these simple tips will give you a good start toward preventing gum disease. Diabetes, a family history of gum disease, or being over the age of 65 puts you at a higher risk for gum disease. In fact, over 70% of adults 65-plus have advanced gum disease. If any of these factors apply to you, it's especially important that you take steps to prevent it if at all possible. Don't take chances with your smile. Prevent gum disease with great home care and regular appointments at Scottsdale Family Dental. Book now or call the office to schedule an appointment.